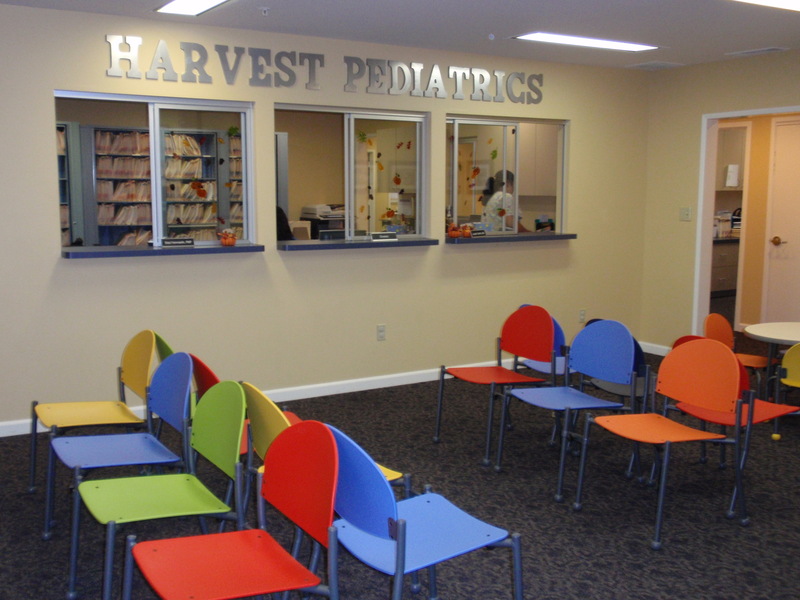 Are you looking for colorful waiting room chairs in bright thermoplastics or wipe clean vinyls? Call us and we will help you design it! 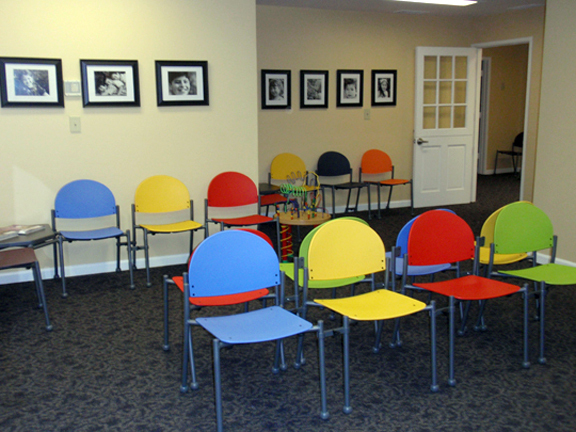 I love the combination of black and white photographs with the colorful bola thermoplastic chairs. 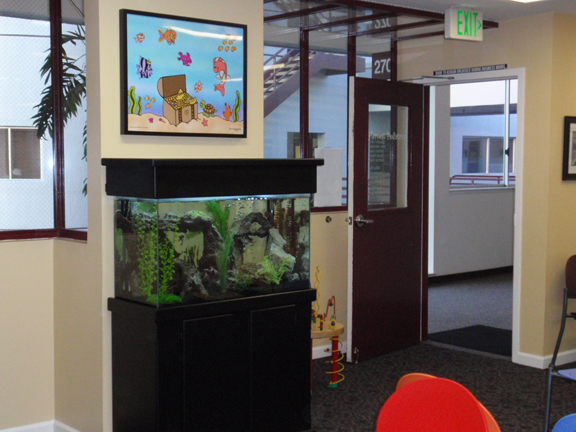 This color combination lends itself to a very sophtiscated look that is colorful and inviting for the children yet it is has a mature adult look too. 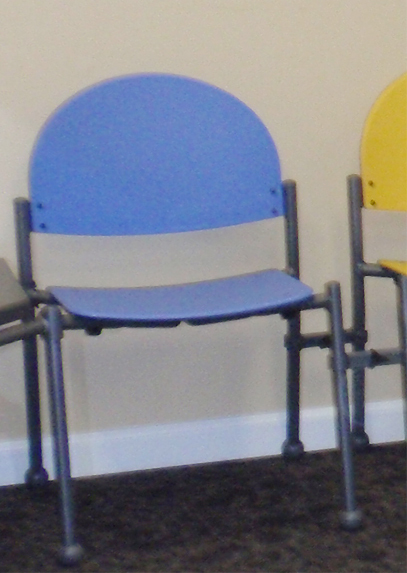 Note the bola ball glides do not match the chair color but the frame color, which looks great to complete the overall look of the classic look of the waiting room. Also note (in single chair picture) the side to side gangs that can connect the chairs. More matching CAT chairs and doctor’s stools. 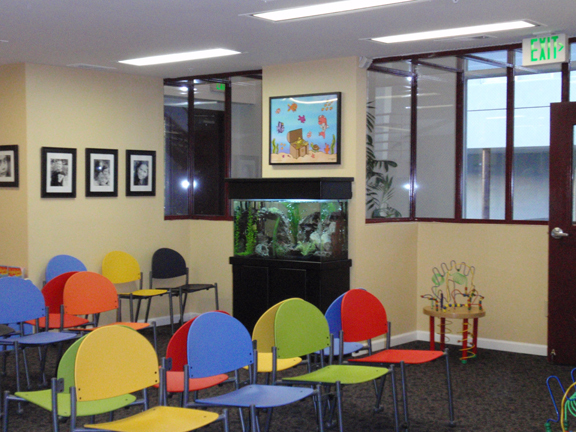 Love the look of ABC Pediatrics! Beautiful CAT chairs with Big Bird in Hawaii!